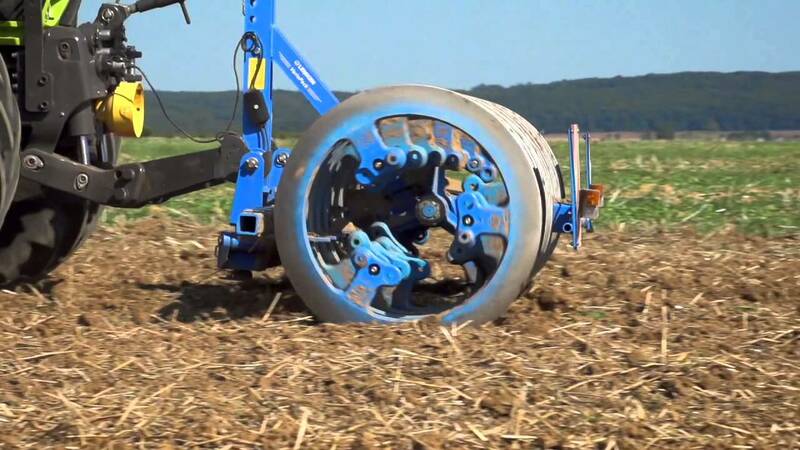 LEMKEN’s VarioPack offers the right solution for good reconsolidation in any conditions of operation: as flexible or front-mounted single- or double-row furrow press, with 700 mm or 900 mm ring diameter, and with a 30° or 45° ring profile. Thanks to the ring design without individual hubs, the working width of this furrow press can be easily adjusted by simply screwing on or removing rings. The ring shape, ring profile and special attachment guarantee maximum stability and breaking strength with minimum wear. The hook linkage, which is made from surface-hardened steel, can be adjusted in two dimensions. The use of a trailed implement ensures that coarse clumps of soil are broken up further and that the soil is levelled well. In light to medium soils, a single pass is enough to prepare a field that is ready for sowing. A push linkage allows trailed furrow presses to be also used with front hydraulics, with a simple steering device enabling precise alignment and turning of corners. Both side sections of folding front furrow presses adapt independently to surface contours to ensure consistently high quality of work.